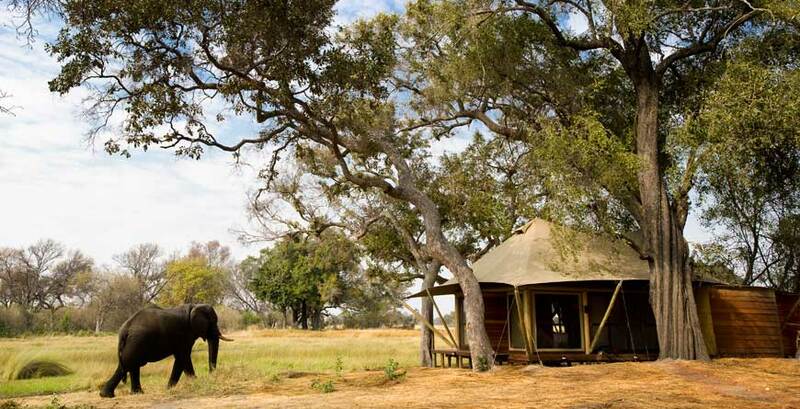 Many regard Botswana as the best safari destination in Africa and it's not hard to see why. Natural resources are fiercely protected in this landlocked nation which hosts one of Africa's most spectacular natural events when the Okavango Delta fills with water from the Angolan highlands flooding the plains, canals and maze of waterways. The resulting lily-scattered oasis creates one of the most rich and diverse wildlife viewing opportunities in the world. 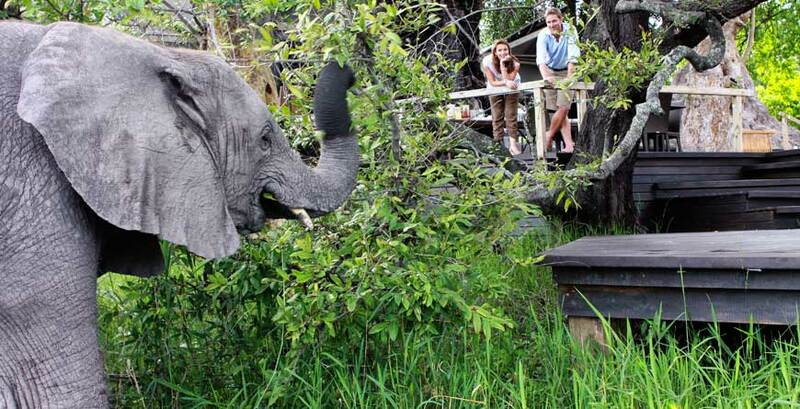 Chobe, located further east, only a 90 minute drive from Victoria Falls, is characterised by floodplains and dense woodland. It is renowned for its vast herds of elephants during dry season, the excellent bird-watching on offer and river safaris. The contrasting Kalahari Desert, which in fact stretches across 7 countries, covers the central and south-western regions of Botswana. Lying south-east of the Delta and Chobe, within this semi-arid savannah are the Makgadikigadi Salt Pans. A dry salty crust most of the year, from January to March the pans flood, creating a haven for wildlife. Grasses spring to life and a huge migration of zebra and wildebeest takes place, accompanied by nesting flamingos - producing what is surely one of Africa's greatest wildlife spectacles. Further south, the vast Central Kalahari Reserve is also home to the San Bushmen who for many thousands of years have perused a traditional hunter-gatherer lifestyle. Important: Minors travelling through Botswana’s borders will be required to produce certified copies of unabridged birth certificates in addition to their passport. In the event that one parent is not travelling with the child, the other parent’s affidavit consenting to such travel should be presented. However, an affidavit will not be required if the father’s name does not appear on the child’s birth certificate. In Botswana this depends on your interests and the location! Game viewing in the Delta is exceptional during the Dry Season, generally April – October, although occasional downfalls can still appear as late as June and by October temperatures will be very hot. This also coincides with the rising water levels. We recommend the Kalahari from February - May after the main rains in December / January, when the Desert will become lush with vegetation, bringing the plains game and subsequent predators. In June and July, the temperatures usually drop below freezing at night whilst in October the Kalahari is punishingly hot in the day. For birding enthusiasts, the best time to visit is November - March as this is when the migrant species visit and the resident birds are in breeding plumage. 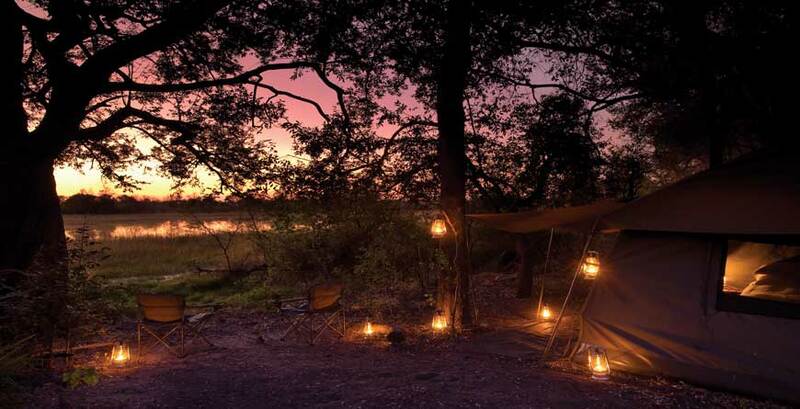 Providing exceptional game viewing, this 10 day camping adventure operated by &Beyond allows guests to experience the best of the region by vehicle, on foot, by traditional canoe and by boat. Guests age 12 plus are welcome to join the trip, making this very intimate tour (maximum of 6 people in 3 tents) a personalised adventure to share with your teens.